The best part of the island is the fact that it offers coastal paddling along the beach, as well as opportunities to paddle the marsh on the west side and behind the island. 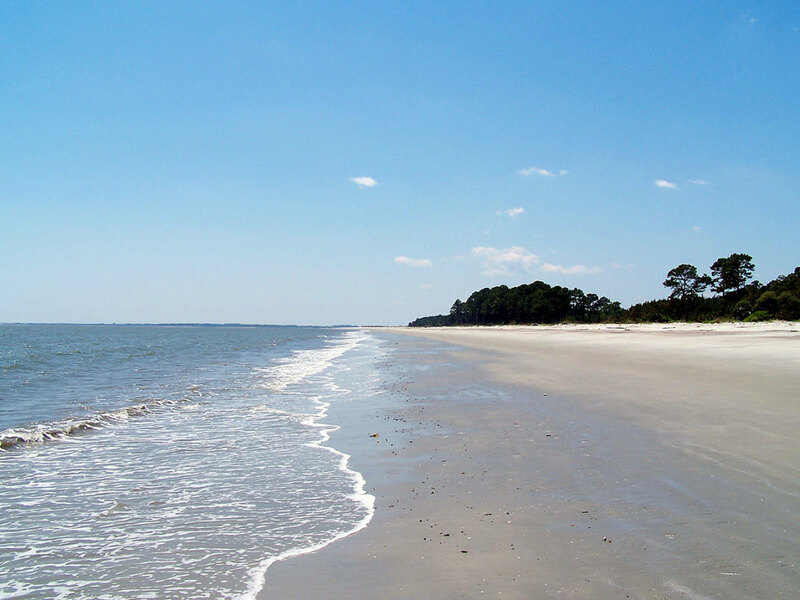 Hilton Head Island is the same, though there are not nearly as many people on Daufuskie. Daufuskie Island has a long and colorful history. The island is most widely known as the home of the Gullah people, descendants from the slave trade and the Native Americans that first called the island home. The first inhabitants of the island clung tightly to African traditions, and have kept those traditions alive to this day. its proximity to mainland is only about 2.5 miles, but early in the 19th century a barrier island 2 miles out to see may have well been a world away. This isolation allowed the Gullah people to develop their culture undisturbed for nearly 200 years. Today the island is home to about 250 year round residents, 2 resorts, and a very decent amount of tidal creeks and inlets. The island was popularized by Pat Conroy’s novel The Water Is Wide, in which he tells his story of the Mary Fields School on Daufuskie. Daufuskie’s past makes this place very interesting. Up until about 20 years ago, the island had been left alone for the most part. Only a few Gullah people still inhabit the island but you can see the remnants of their fascinating culture. The best part of the island is the fact that it offers coastal paddling along the beach, as well as opportunities to paddle the marsh on the west side and behind the island. Hilton Head Island is the same, though there are not nearly as many people on Daufuskie. Paddling down the beach of Daufuskie, you will not have to worry about dodging beach goers or putting up with a crowded ocean, the island looks primitive from the water, and makes for an amazing coastal paddle. The marsh and tidal creeks on the west on north sides of the island are home to a great deal of marine life, and extremely scenic views, especially at sunrise and sunset. Try to paddle out to Daufuskie when the water is calm and the wind is not too strong, paddling through the stillness of the marsh is incredible. The coastline and marsh surrounding the island are a kayakers paradise. Do not try to paddle from Hilton Head to Daufuskie on an SUP unless you are an expert and have experience touring the open ocean on a paddleboard. This is a difficult paddle. The risk of something going wrong multiplies once you hit the Calibogue Sound and open ocean, so be prepared with a PFD, water pump, and radio or smartphone to communicate with the Coast Guard in case of an emergency. For a lengthy paddle, launch from the Cross Island boat ramp and go left down Broad River. The river will dogleg left, where you’ll see the eastern tip of Buck Island. Keep Buck Island on your right and paddle down its coast line. When you reach the Calibogue Sound, Daufuskie will be in your sights. From there you can paddle to the north side of the island for marsh views, or down the beach of Daufuskie. This is a very difficult paddle, and about 10 mile round trip. 10 miles may not sound like too terribly long, but fighting the currents and tides will take the energy right out of you. Water and sun protection are crucial. There are no fees, but have your safety gear on you to avoid any dangerous situations, as well as citations from the Coast Guard.